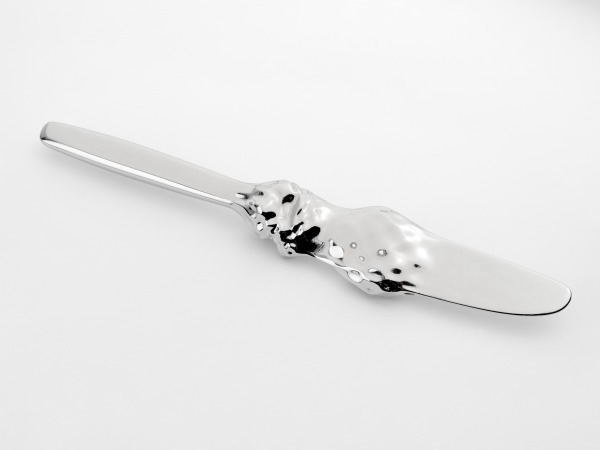 Large metal-plated knife with an off-centre bulbous abstract form. Rapid protoyped resin, metal plated. 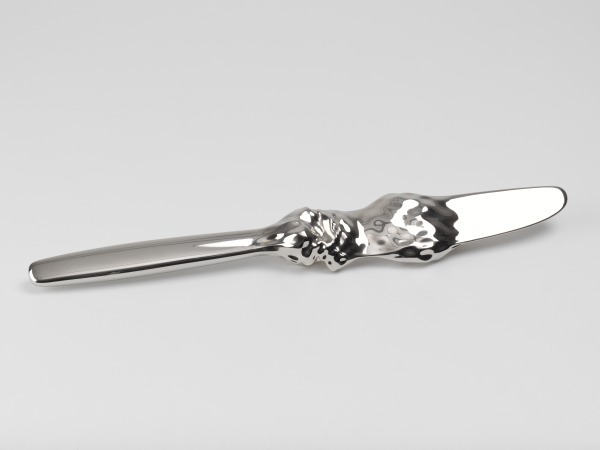 Cross Fire Knife: Natural Occurence series, Geoffrey Mann, 2010, Crafts Council Collection: M87. Photo: Todd-White Art Photography.